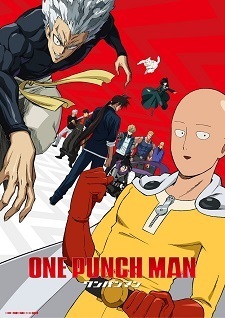 The official website of the One Punch Man anime series revealed on Wednesday that the second season's first Blu-ray and DVD volume will contain a 10-minute original anime. The volume will also bundle the second season's first two episodes, which began airing with a television special on April 3. The bundled episode, titled "#01," will feature a completely original story. The first Blu-ray and DVD volume will go on sale on August 27. The second season will span across six Blu-ray and DVD volumes, scheduled for release through January 28, 2020, but it is not yet known if the remaining five volumes will also bundle additional original episodes. The volume will also contain the television special commemorating the season's premiere, first of the variety shows featuring the cast of the series, audio commentaries by the cast, and a booklet. Each Blu-ray and DVD volume retails for ¥7,560 and ¥6,480, respectively, including tax. I guess it's safe to assume each BD volume will contain a 10min long segment/special. No doubt the other sets will have a special episode too, same as the first season. Those specials were fun, hopefully these ones will be too.